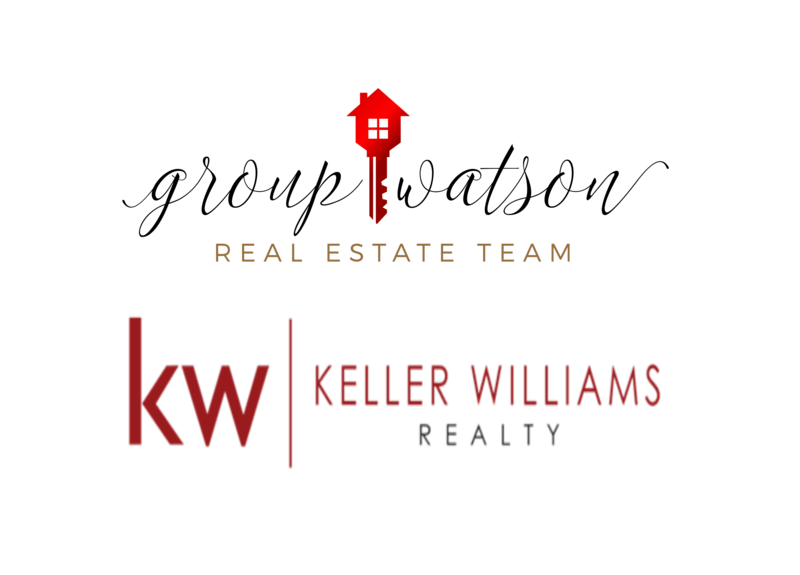 There has been a lot of talk lately about the changes in the Dallas area real estate market. A good bit of that talk has been from people outside of the real estate industry, like news reporters and strangers online. Some have claimed "the bubble is bursting" or that the market has "flipped.' However, without and educated look at the data, these claims are nothing more than speculation. GroupWatson crunched the numbers and consulted the experts to make sense of the changes in the local market, so here is our State of the Real Estate Market blog for 2019. First thing first, the sky is not falling. 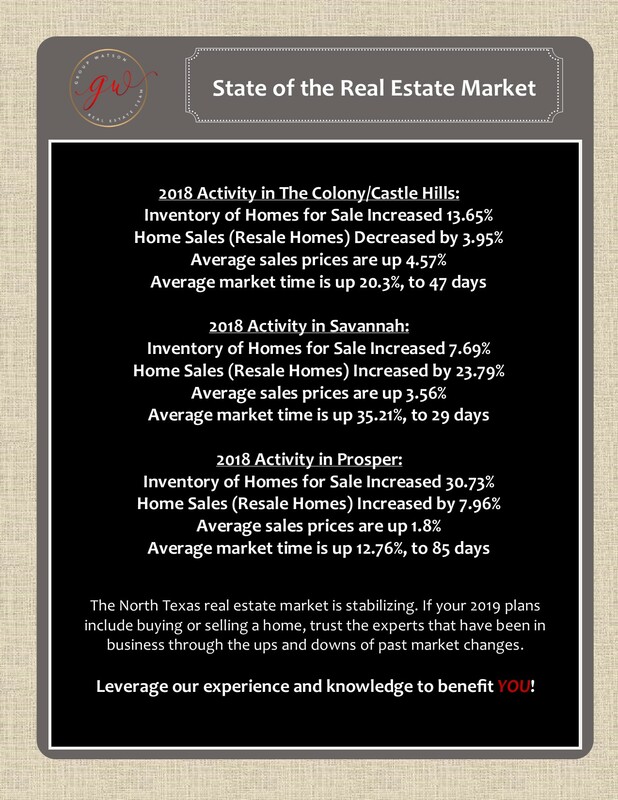 For all of north Texas, the inventory of homes for sale is up just over 5% for the year, compared to 2017, and sales were down just under 2%. Overall, prices were up for the year again, but a more modest 4.35% as compared to 2017's 12.6% increase over 2016! The north Texas market is shifting, but it is still very strong. 2017 was a great year for our market. When you look at 2018, the data does show that the market is losing a little steam, but if you compare 2018 to 2016 every indicator was up. 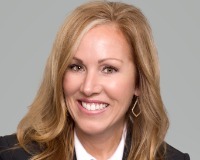 Kelly Milligan, attorney with Chicago Title gives a great updated to Keller Williams DPR agents every year. Kelly reminded us all that records can't be broken every year. But not breaking the record doesn't mean you've lost the race. While no one can accurately predict what will happen in 2019, most economists and people in the industry agree that the DFW market is certainly not going to freefall. Most anticipate that it will look quite a bit like 2018, in fact, and are referring to the recent shift as a correction. When we look at the overall inventory of homes for sale, the indicator we consider is called "months of inventory." This indicator tells us that with current demand, if no new homes were built or listed for sale, it would take that many months for all of the homes to sell. 6 months of inventory would be considered a "balanced" market where supply equals demand. In 2018, the highest level of inventory was in August at 3.4 months. Inventory has increased but has not come close to a market "flip" to a high inventory, low demand scenario or "buyer's market." As more inventory becomes available, market time will continue to grow as buyers will have time to weigh their options without feeling the need to jump on the first house that might remotely work for their needs. This is a very good thing for buyers. More options and prices aren't rising faster than they can blink, so many homeowners who were deterred by the frenzy may re-enter the market, or begin looking for the first time. Interest rates have come up some, as expected, but the Fed has been more hesitant to project further increases for fear of derailing the current economic growth in our country. New jobs are being created nationwide, especially in North Texas, and unemployment is at one of the lowest rates in decades. It may cost a little more to borrow, but financing is still widely available to home buyers. All of these are signs that home sales are likely to remain steady. The image above shows how a few of the top communities we serve stacked up in 2018. Curious to know what your home is worth now, or what you can expect in your neighborhood? Give us a call! We are always happy to consult with our clients to help you make plans and decisions that best suit your needs and goals.